Wouldn’t it be great if there was an easier and cheaper way to get the look we want without spending hundreds on serums that might work? Surprisingly, our grocery store might have all the answers. 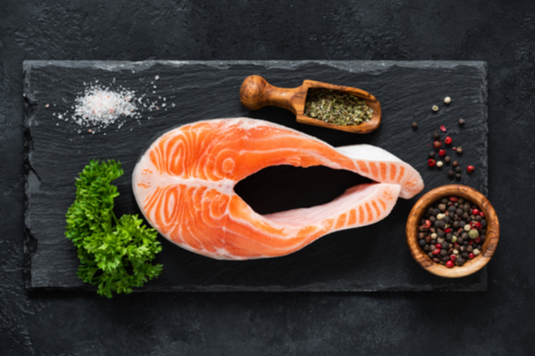 Fish is a great health food when eaten in appropriate quantities. Wild caught is always preferable to farm-raised. The Omega 3 fatty acids are the key item here with the oils naturally working to keep skin supple and smooth. So load up on salmon, sardines, mackerel, herring and tuna two to three times a week and enjoy the lovely results. Avocados are really on the rise in popularity and boost several health benefits. In this case, avocados are a good source of healthy fats and oils which our skin needs to stay all soft, supple and springyqualities our skin loses as we age. A serving of guacamole or sliced avocado on toast with a sprinkle of sea salt or salsa a few times a week and you’ll be set. Walnuts, almonds, sunflower seeds, cashews, peanuts, pumpkin seeds and pine nuts all have the same quality; they are high in Omega 3 essential fats and contain an assortment of vitamins and minerals which our bodies need to stay fit and healthy. Additionally, nuts and seeds are an excellent source of protein which fuels new growth through our bodies. Sweet potatoes belong to the colorful vegetable family and for good reason. Sweet potatoes contain beta-carotene which functions as a provitamin A, allowing our bodies to absorb it as vitamin A. Beta-carotenes also act as natural skin protection from sunburns, dry wrinkled skin and cell death. If we eat enough fruits and vegetables containing beta-carotene, our skin can take on a healthy orange tinge. Other options are oranges, spinach, red and orange bell peppers and carrots. Broccoli is one of those underappreciated vegetables that packs a powerful health punch. It contains several different vitamins and minerals our bodies need as well as little thing called lutein. It is a carotenoid like beta-carotene and works in a similar fashionprotecting our skin from becoming dry and wrinkled. 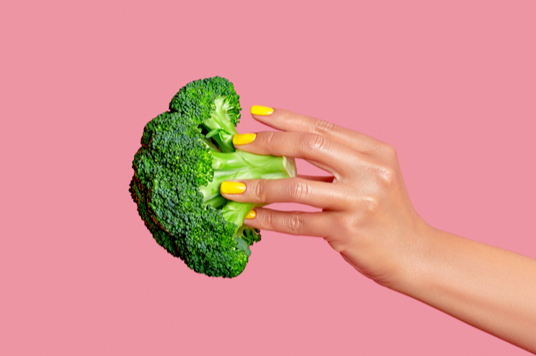 Additionally, broccoli has a special antioxidant which might reduce our chances of developing skin cancer. Everyone needs a reason to indulge in a bar of 70% or darker chocolate and our skin is definitely a good reason. One study found that after 6-12 weeks of consuming dark chocolate, participants had thicker and more hydrated skin. They also had smoother skin with better blood flow and were less sensitive to sunburn. This sounds like a win-win to us! Red wine is known for having resveratrol which comes from the skin of red grapes and has a number of health benefits. Among them is the reduction of production of harmful free radicals which can cause skin damage and show our age. Excessive amounts of red wine won’t help though; all that we need is one or two glasses a night and we are golden. Watermelon is delicious and extremely high in its water content compared to other fruits and vegetables we could be snacking on. This high level of hydration can help us with our water retention and reduce that puffy look around our eyes, making our skin appear younger and healthier. We also don’t have to worry about glycation in watermelonthe chemical reaction which compromises collagen and causes lines and wrinkles. Green tea is antioxidant, anti-inflammatory and high in vitamin Kall of which are great for our skin and our bodies in general. 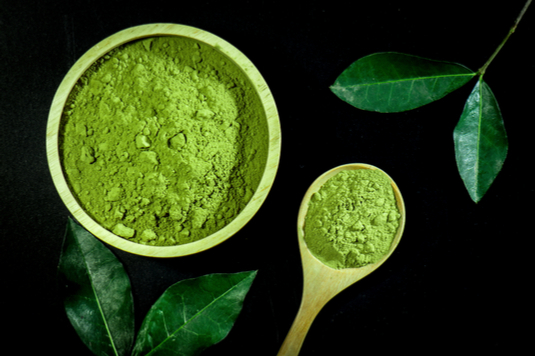 Green tea is often used as a skin toner and acne treatment and can aid in the reduction of visible scars and blemishes. After having a nice cup of tea, put the used bag in the fridge till cold and then apply on the eyes for 15 minutes to reduce those dark circles. Tomatoes are technically a fruit and are known for their vibrant and intense red color as well as their delicious accompaniment to salads, chips and in soups and stews. Tomatoes are also an underrated health food. They contain lycopene which can help protect the skin from the damaging UV rays of the sun. Simply by having the equivalent of five tablespoons of tomato paste a day can reduce our risk of sun burn by 33%. And sunflower oil as well are secret weapons in the skin care world. Olive oil is 75% monounsaturated fats which can boost the youth of our skin by quenching damaging free radicals before they get around to destroying our skin. Sunflower oil is high in linoleic acid which can help support skin cell membranes and reduce cellular inflammation which is associated with aging. Age never looks good on the skin. And strawberries, red and green peppers, grapefruit and several other fruits and vegetables are high in vitamin C which our bodies use for all sorts of things but mainly in boosting the immune system and fighting off potential infections, invading bacteria and viruses that could wreck havoc on our internal ecosystem. 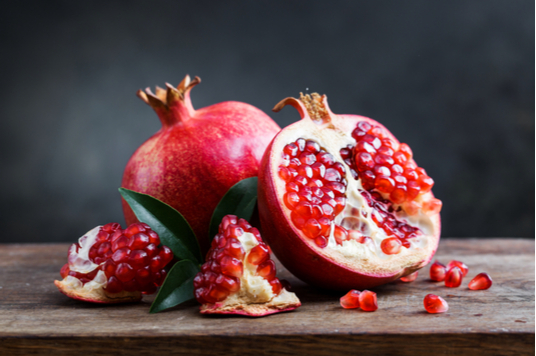 Pomegranates are high in antioxidants and a compound known as ployphenols which fight free radicals and improve blood flow to the skin. Additionally, berries such as blackberries, blueberries, raspberries and cherries are also highly antioxidant and work hard to keep us healthy in a variety of ways. It sounds like a fruit salad is on the menu for this week. We all know that yogurt is a fermented food and good for the gut but some of us don’t know that Greek yogurt (that thick delicious variety without added sugars or flavors) is great for our skin. It fights wrinkles and contains helpful B vitamins which detox our skin and keep it looking fresh and young. Add in some berries and a spoon of honey and we have a nice little treat for ourselves with massive health benefits.